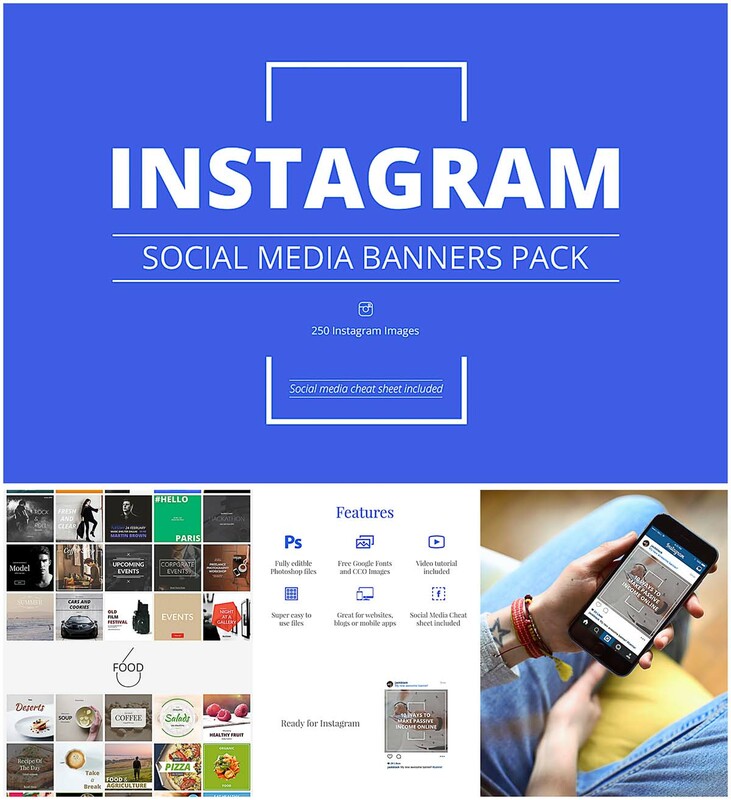 Set of 250 instagram templates were made with attention to details and following the latest trends in design. Improve the look of your social media pages as well as blog, website, mobile app and attract more clicks on your posts. Tags: banner, blog, instagram, marketing, shop, social media, website.